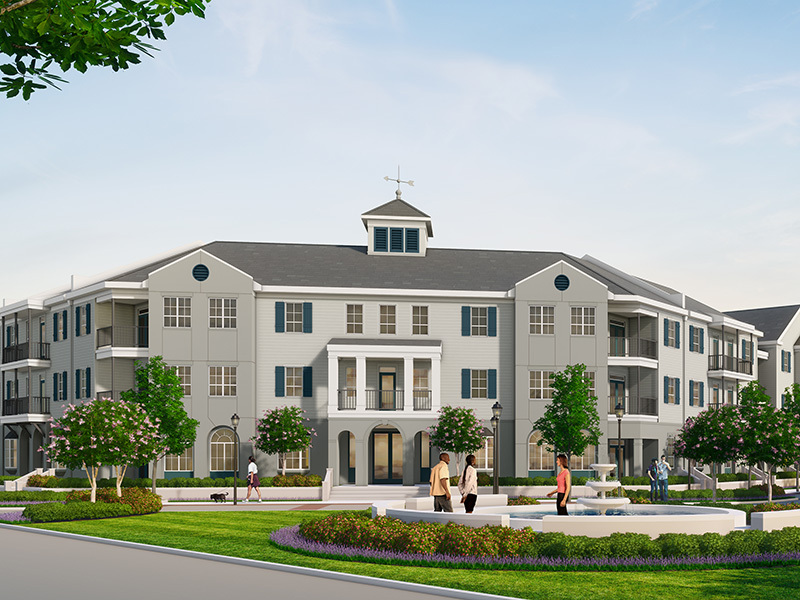 Sims Mortgage Funding completed their 23rd HUD-insured multifamily financing for Vintage Realty Company for Elan at Terra Bella, a 178-unit market-rate property in Covington, LA, on the fast-growing North Shore of the New Orleans metropolitan area. Elan is part of Terra Bella Village, a Traditional Neighborhood Development, which combines retail, commercial, office and housing organized around a town square or other common area. Vintage Realty Company purchased the development rights for Elan at Terra Bella, a proposed 178-unit market-rate project in a Traditional Neighborhood Development (TND). Given Vintage’s preference for long-term, fixed-rate financing, they turned to SMF to obtain HUD-insured construction and permanent financing. SMF worked with HUD and Vintage to provide additional risk mitigation during the loan underwriting and closing process that enabled HUD to approve the deal and to get to closing before the financing commitment deadline expired. The timeframe from submission of the mortgage insurance application to closing was slightly under 7 months. The loan covered 85% of the Project’s replacement cost, excluding working capital and stabilization costs.